Rhonda Quaney: What Breaks Your Heart? I once read that you should pay attention to what makes you cry. How those things that reduce us to tears, are the places where pain, passion and God's heart often collide. Many years ago, I took the words in James 1:27 to heart that say, "Religion that God our Father accepts as pure and faultless is this: to look after orphans and widows in their distress and to keep oneself from being polluted by the world." So things concerning orphans, widows and people who are overlooked or taken advantage of in this world, break my heart, and most often, move me to tears. This year my desire is to open this blog space to people and their stories. Stories of doing hard things with great love. And since adoption is very near to Gods heart it makes sense that today my guest would be someone who is living the journey of adoption. 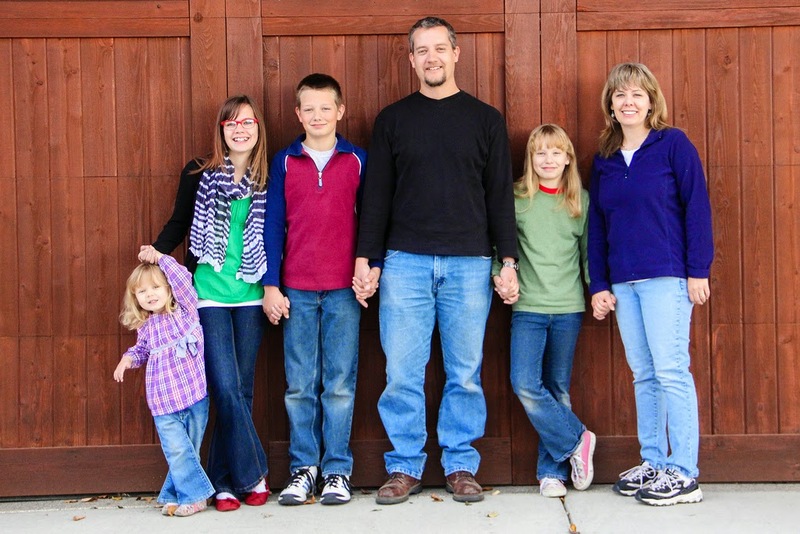 Would you please make Sara Evans feel loved, as she tells a little about how her family has been weaved together through the trials and the journey to adopt. That's what they call it and our experience has been just that –a journey. I guess I’d always hoped that things would move quickly for us. That we’d end up with an amazing story about God opening an opportunity like he parted the Red Sea. That it would be easy. But it wasn't like that at all. In fact around this time last year I decided that I was done with wanting to adopt. I still loved adoption. I still believed in adoption. But I was tired of having this gut wrenching desire that remained unfulfilled. I was tired of the waiting and tired of the trying. My desire to adopt was strong. Sometimes bringing me to tears and sometimes to my knees. Every time I would hear about an abandoned child I wanted to rescue them. All of them, not just one or two. Even as a child I remember watching the movie “Annie” and wanting to bring all of those girls home with me. We have tried to adopt. Several times. After the birth of our first daughter in 1998 we decided to adopt through the state. We went through the whole process and were waiting to be matched when I found out I was pregnant with our son. (And before you ask, yes we know how that happens. And no, we weren't trying.) We would have continued but the state asked us to wait. Fast forward six years, another child and another state later. Our youngest at that time was 3 and we thought we would try again, to adopt. This state informed us that to be able to adopt any child under 10 we would need to be foster parents. It was a foster to adopt program intended to keep kids from moving in and out of too many homes. I did not want to foster, but our agency assured us that so many of their families who wanted to adopt were able to and relatively quickly, so we agreed. It was a very frustrating time for me as we watched child after child leave our home. Some were only with us for a few days, some a few months. None of our cases were normal. I can’t tell you how many times a case worker sat at our table and said, “We've never had a case like this before.” But we learned a lot about neglected kids. The last case we had was a little girl with an attachment disorder and by the time she left I felt like a complete and utter failure. If adopting was anything like foster care then I was sure I would be no good at it. Around the same time our foster girl was leaving, we were surprised to learn that I was pregnant again. Seems like a theme, we thought, "Perhaps God doesn't want us to adopt." So, we had our fourth child and moved again to another state. Our new town had a serious shortage of foster parents at that time. Paul and I knew we could and should help. And even though our goal wasn't to adopt this time I couldn't help but hope. We have had a total of 15 foster children in our home over the years and didn't get to keep any of them. In most cases that was a good thing. It’s always good to reunite a family. But my heart had been broken too many times. So, there I was. Done. God blessed me with four wonderful kids. I don’t need to adopt. I don’t want to adopt. And I want God to take the desire away. In the midst of a desperate plea, I felt God tell me… to sign up for the Bible study at church. Hmmm doesn't really seem like an answer to my prayer. But, I did it. The study was on the book of Nehemiah, which I've gone through before. And honestly, I didn't think I’d get too much out of it but I was wrong. I describe the theme of the study as, "What breaks your heart?" What is the desire God has given you and what are you going to do about it? At that point I didn’t know what to do about it. 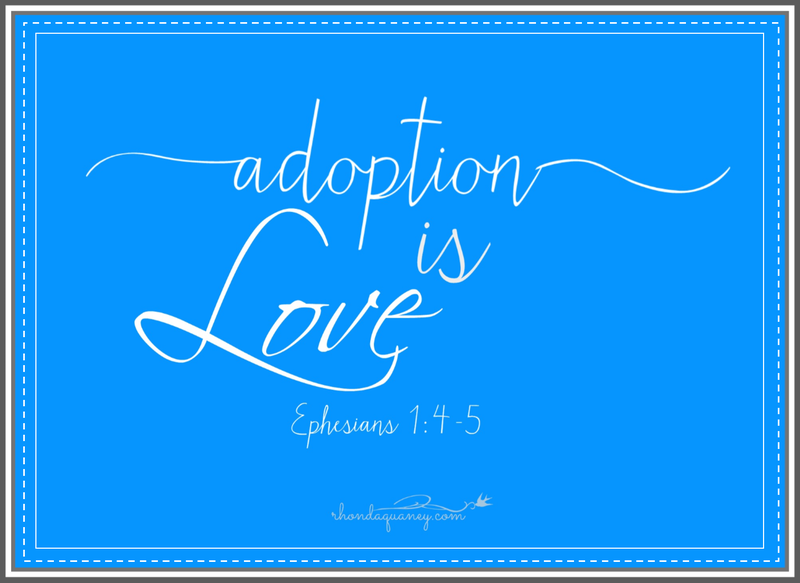 So, knowing that adoption was an area that breaks my heart, I surrendered. I surrendered to God’s plan and God’s timing. Instead of choosing a course that I think works, instead of telling God what to do, I surrender. And then something strange happened, slowly at first, God begins to open doors for us, one after another, in ways that could only be God. And on a beautiful Thursday in November we received the phone call I had waited for, hoped for, prayed for. Our adoption agency had a match for us. A precious, little, Chinese boy who needs a family. This is God’s path, His plan and we’re excited to see how He’s going to continue to work it out. No, things have not moved quickly or been easy. There has been plenty of drama, but nothing like the parting of a sea. And even though our experience has stretched back over two decades we feel like this is just the beginning of our adoption journey. Would you like to join in their adoption journey? Would you have a heart to help them bring Isaiah home? Their Facebook page for updates. ~Protection of Isaiah, & all the changes that will be so hard for him. ~For the paperwork to go smoothly. 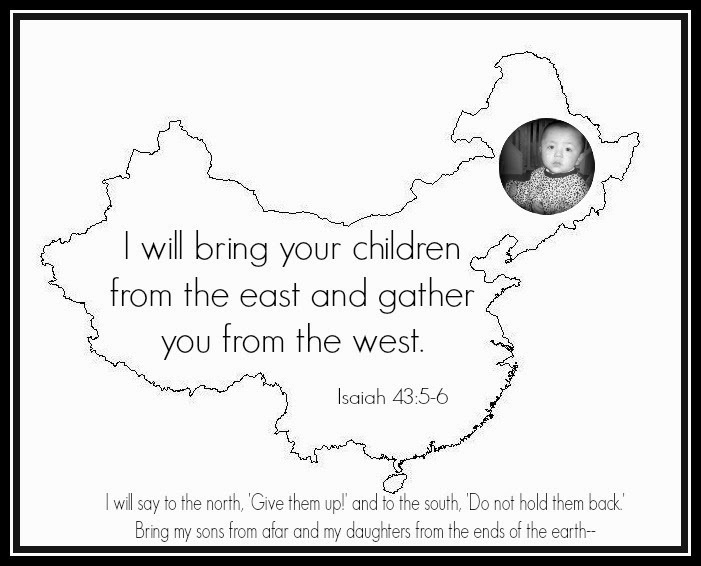 ~For details and care of our children the two weeks we will be in China. ~Funds that still need to come in. ~Praise God for all He has done! In closing friends, tell me, what breaks your heart?